When you’re focusing your efforts on growing your business to lead generation and increasing sales, few campaigns will deliver better results than email marketing. With that noted, there is a right and a wrong way in which to do anything, and this couldn’t hold truer for email marketing campaigns. Done well, they can provide your business with exactly the kind of growth that you’re seeking, but if it’s done poorly, you’ll waste not only valuable funds in inefficient marketing, but you won’t realize any of the brand awareness or customer growth you hope to achieve. Keeping your emails short and to the point. Sending follow-up emails to interested parties that haven’t purchased. Composing customized emails for cold lead approaches. Analyzing your data regularly to track consumer reception. The benefit of email marketing, as NIBusinessCo. illustrates with this guide, is that it’s personal. If you’re developing a campaign to target customers that are already on your mailing list, you have an established relationship with them. Unlike spam email that generally immediately goes to junk folders or trash, your emails are going to be viewed by your customers. When they interact with our email, they’re providing valuable information about whether or not they purchase. You’ll be able to tell which headlines, graphics or sales attract the most interest from your targeted audience. This information, in turn, can be used to increase the chance of success when you decide to launch into cold email marketing. In short, you’ll receive a direct view of exactly what you’re buying public likes, and you will be able to design your campaign to fit those desires. While it’s great to know what will help your marketing achieve success, the truth is that most business owners choose to use a service to manage these campaigns for them. As a business owner, how do you select the best email marketing services for your business? You want to be able to create your own email templates, control the timing of your delivery and be able to review all the data your emails generate. Without these key features, a service will not help you grow and succeed, because you won’t be able to pinpoint what is working for you and what is not. 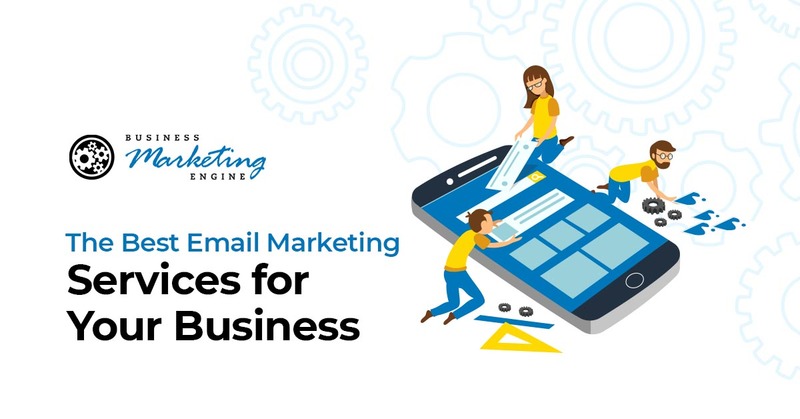 To help you select the right email marketing service that will fit your needs, we’ve reviewed a few of the most popular companies for small businesses on the web. They’re ranked below according to price, features and ease of use. With a base price of $20 a month for up to 500 subscribers, Constant Contact is a reasonably priced option. The features that are included with this are what attract business owners who want to be hands-on in marketing development. Constant Contact supplies templates that can be customized and retains information from you regarding your industry and experience in marketing. This data is used to help generate suggestions for your campaign. There is a self-paced learning library for subscribers to pursue if they want to learn more about a specific topic, as well as live support, chat support and a free 60-day trial available. You can schedule your campaigns and track reception through your dashboard. Drip is a marketing service with a different angle. Developed to help business owners convert potential customers who visit sites but don’t subscribe, leave shopping carts with purchases incomplete or any visitor who stops by your site into customers, Drip is free for the first 100 subscribers. After that, the fee is $49 a month for up to 2,500 subscribers. Drip allows you to communicate beyond email and has incorporated both text messages and Facebook ads into their targeted marketing design. AWeber is primarily a lead generation tool. You can incorporate it into your WordPress page, landing page or other hosts. Once installed, you can develop sign-up lists, email services and newsletters that will help you increase your potential client pool. AWeber is free for 30 days and $19 a month for 500 subscribers, and the company does provide customer support to subscribers via chat or phone. MailChimp is the answer to someone who wants both lead generation and conversion assistance with their campaign. It can be connected to your eCommerce store as well as a multitude of other apps. MailChimp allows you to build landing pages as well as create and automate emails for your marketing. This service is free for up to 2000 subscribers, with a base rate of $10 a month after you exceed that number. There are other email marketing services available, but these are four of the most popular. In order to choose the right service, you have to be clear about what your goal with your email campaign is. As you can see from the details above, email marketing services vary greatly in what they can do for you and offer your business. Before choosing which service to use for your next campaign, take the time to review all the relevant information regarding what the service will allow you to do, how much it will cost your company, whether there is technical support available, and if you can customize the plans.